Electric version of the Up with range of up to 100 miles. Surprisingly quick and enjoyable to drive. No compromise on boot space. Standard full charge in nine hours. Renault Zoe is cheaper although you have to lease the battery. UK price of VW e-Up reduced to under £20,000 after Government plug-in grant. While some manufacturers have decided to build dedicated electric cars - the Nissan Leaf being a case in point - Volkswagen has taken the route of developing models that can be powered by different types of motor. 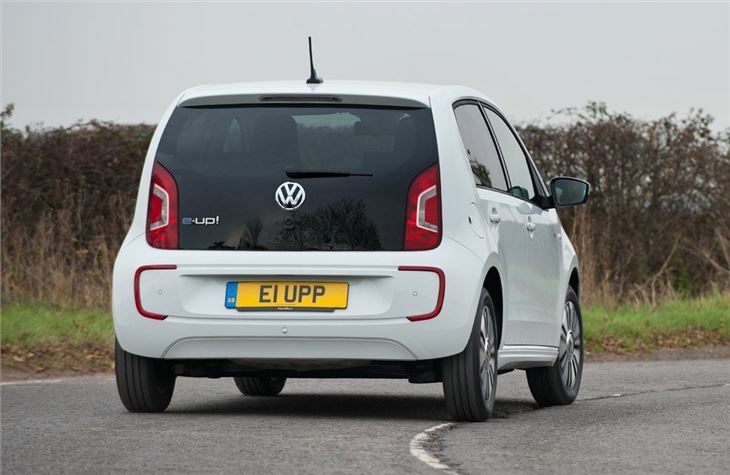 So from its initial design, the Up was always designed to be fitted with an electric powertrain, creating the e-Up. The compact motor provides 82PS and with a single-speed gearbox it's actually the quickest Up in the range. 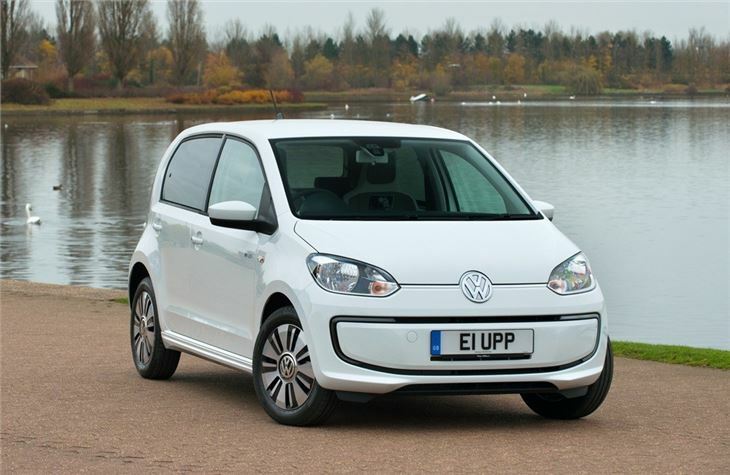 It's easy to see why the Up works so well as an electric car. This is after all a car designed for city and urban use. 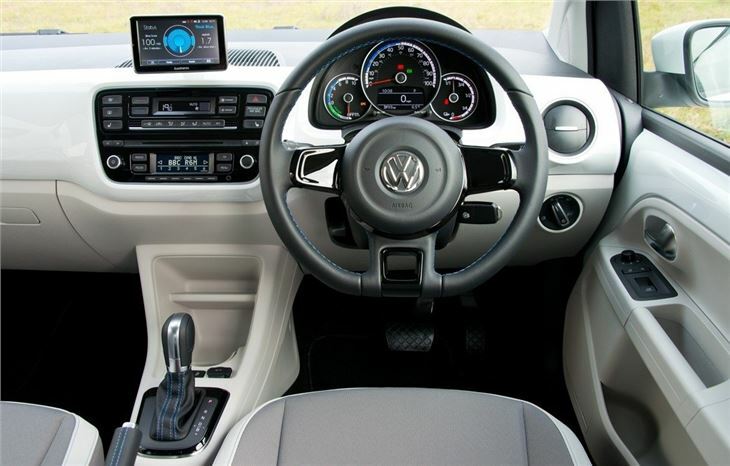 The standard model has been a big success for Volkswagen helped by its neat styling, small size yet spacious interior. These strengths all remain with the e-Up and as the lithium-ion battery is integrated into the vehicle floor there's no compromise with interior space. The boot loses just one litre. It can travel up to 100 miles on a single charge although this is a best case scenario. Of course the faster you accelerate the quicker you drain the battery, but there are regenerative braking modes. 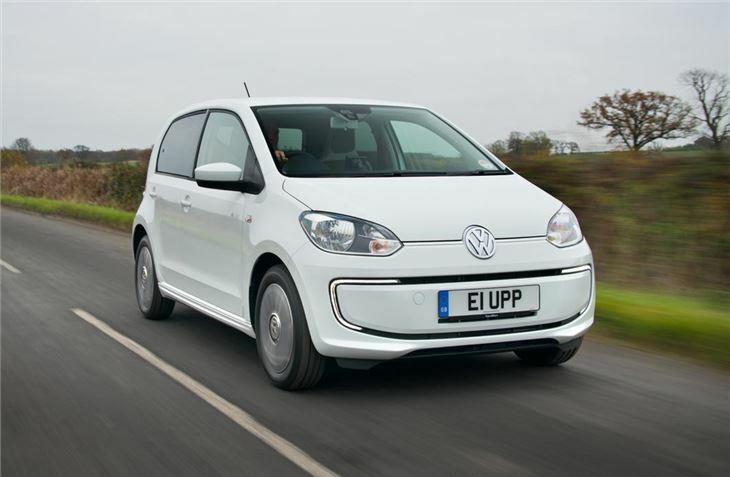 As all the electric motor's torque is available from zero revs, the e-Up is impressively nippy from a standstill and is similarly strong from around 30mph. A standard charge takes nine hours from a conventional three-pin socket, but owners are better off getting a wallbox that can be installed by British Gas (currently for free). A wallbox charge will replenish the battery from flat to 100 per cent in six hours. 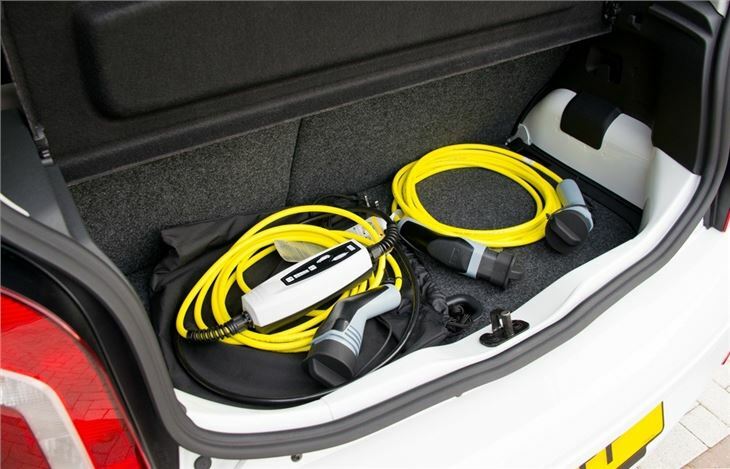 All the various cables required come with the car and live in a neat slot in the boot. Unlike rivals like the Renault Zoe, there's no leasing of the battery - it's all part of the final price. The battery itself is modular and has an eight year or 100,000 mile warranty. 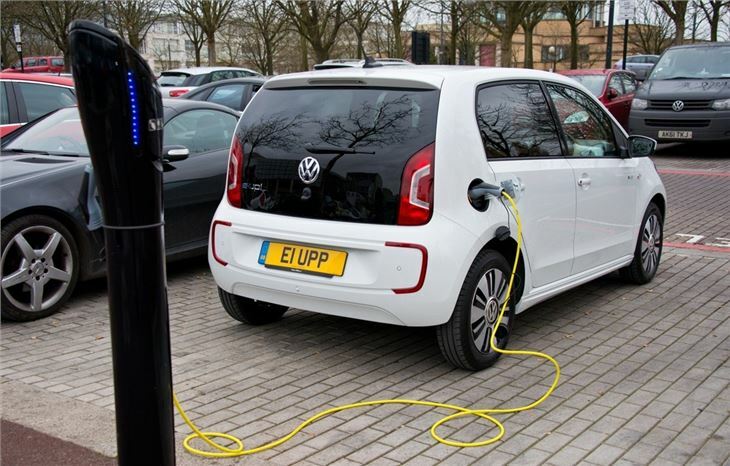 The e-Up costs £19,250 after the government's £5000 electric vehicle grant. 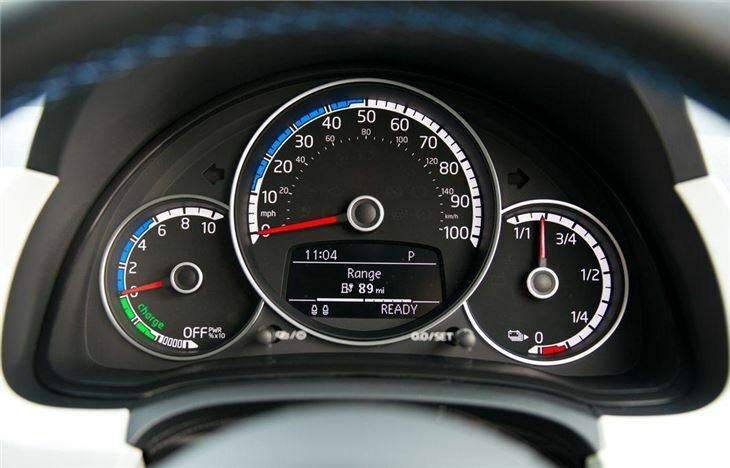 That's expensive compared to the rest of the Up range but it does come very well equipped as standard with a heated windscreen, DAB radio, climate control, navigation, rear parking sensors and 15-inch alloys. It will certainly appeal to those who have to travel into the central London congestion charge zone and also makes a lot of sense as a second car.